The integration of BIPV modules in buildings can be carried out in many different ways and result in a wide range of solutions. 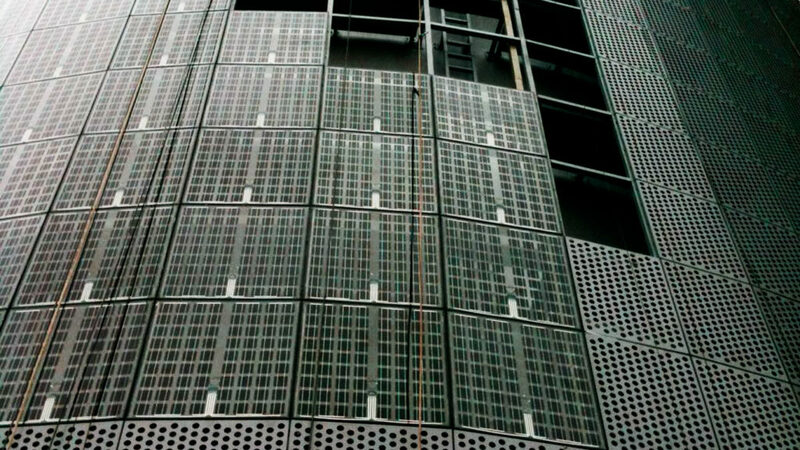 BIPV modules can form part of the building envelope, such as roofs, facades and glazed surfaces. In photovoltaic roofs ecology merges with habitability and efficiency, resulting in environmentally friendly buildings that care for the people who inhabit them. 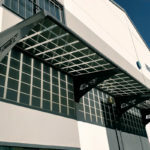 BIPV Solutions skylights will allow you to obtain extraordinary results in any building, dazzling spaces and environments with great visual strength. 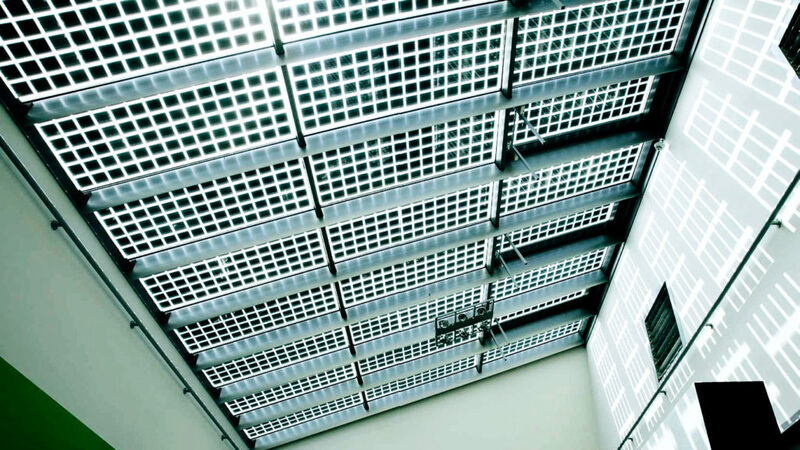 The use of BIPV systems in skylights also provides a touch of exclusivity and elegance. As a semi-transparent roof, they provide thermal, solar, anti-glare and weather protection, as well as a selective use of natural light. 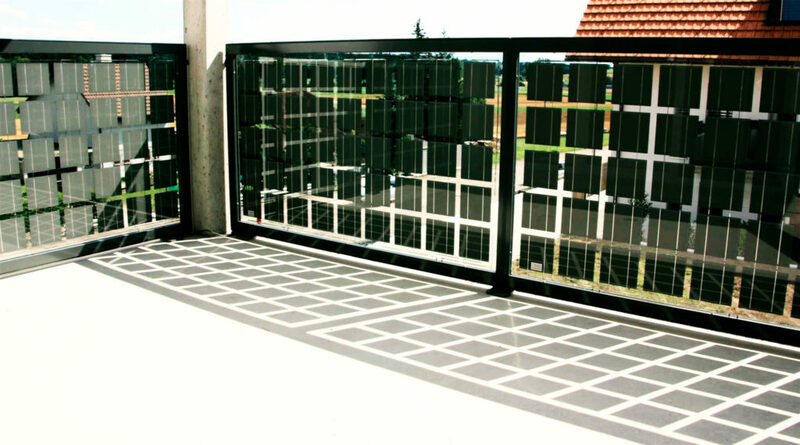 Photovoltaic balconies make it possible to make the most of this part of the surface of an apartment or building exposed to sunlight and, at the same time, they are a way of improving its appearance. They are often characterized by exceptional elegance, becoming architectural elements in which we try to emphasize rather than hide the cells that produce energy. 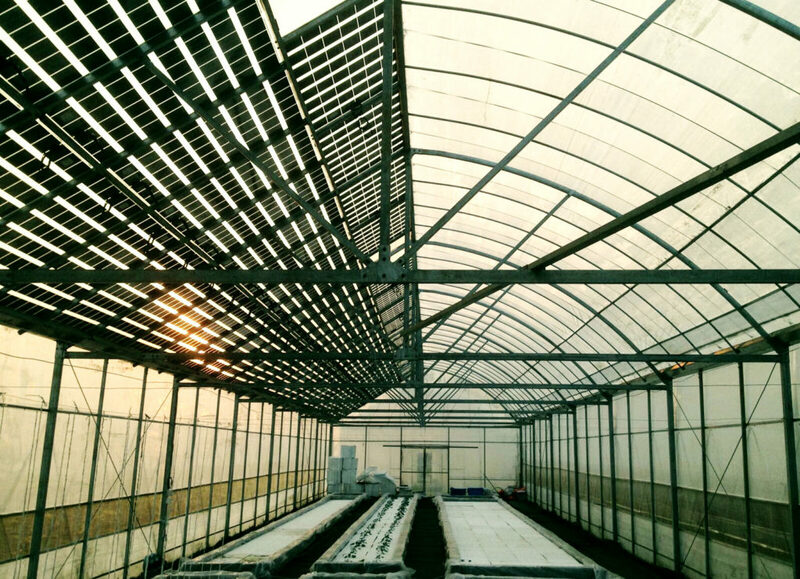 Greenhouses are enclosures in which temperature, humidity and other environmental factors are kept constant in order to favour agricultural crops. They are always located in open spaces where they receive large amounts of direct solar radiation. 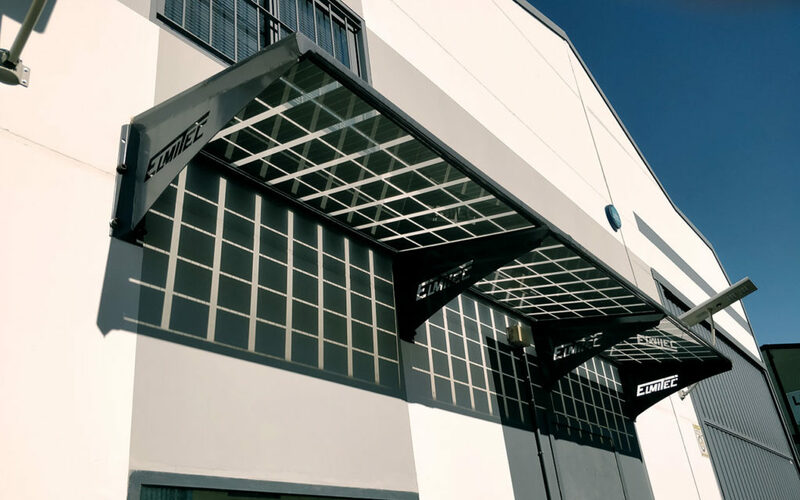 The metal structure in BIPV Solutions solar greenhouses is obtained by the repetition of a base module whose plan and elevation dimensions have been specifically designed so that the installation of the photovoltaic system is completely integrated into the whole. 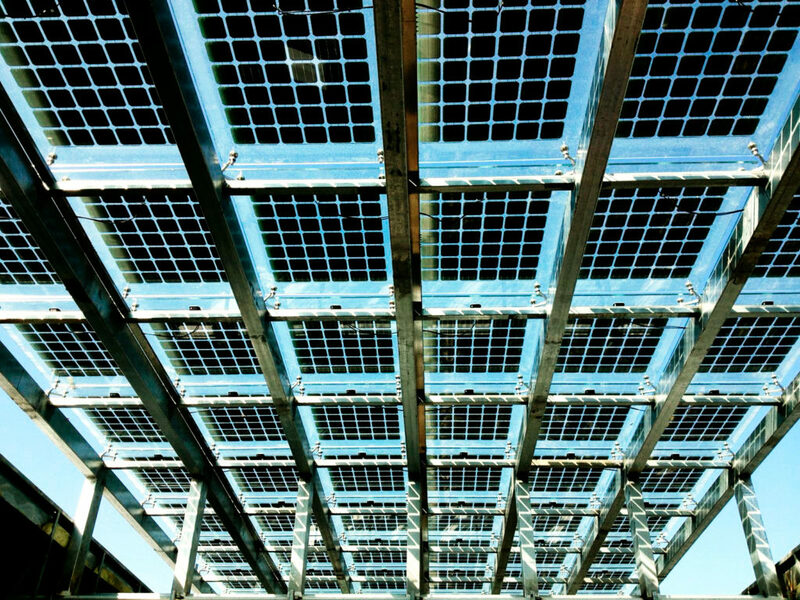 Its structure of glass and metal is perfect for the integration of solar panels and from an aesthetic point of view have no impact on the surrounding environment. 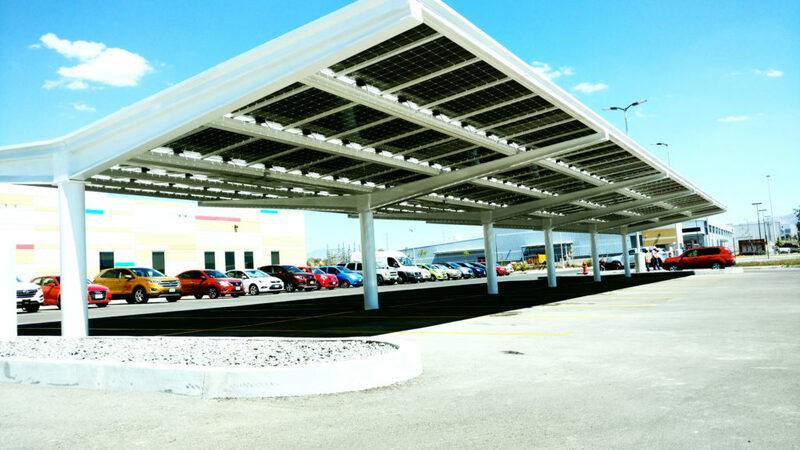 BIPV Solutions has developed a design of Photovoltaic Parking to take advantage of the benefit of the protection against meteorological agents, at the same time that its surface is used for electricity generation. Energy generation has several uses, such as, recharging electric vehicles, self-consumption and therefore, reduction in the invoicing of the electrical consumption of the network. The integration of photovoltaic modules into sound barriers along motorways and railways is an interesting alternative to building integration. 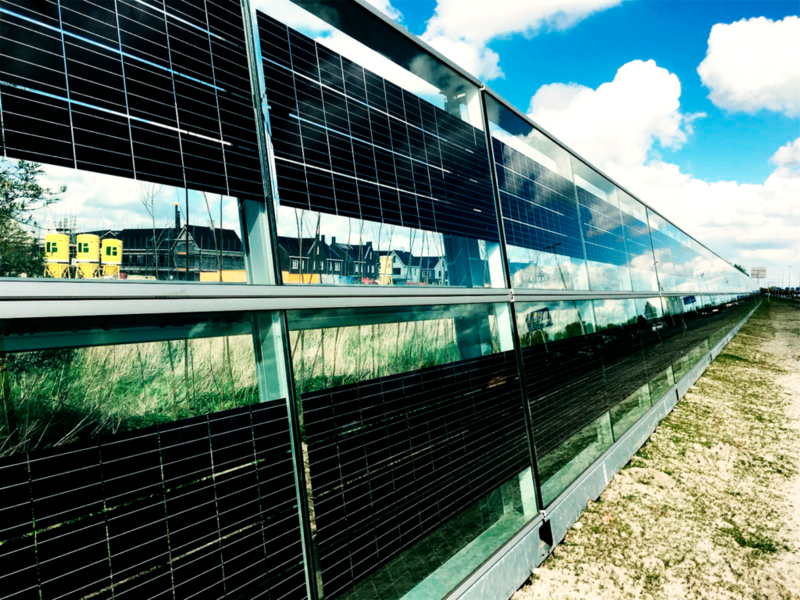 Photovoltaic acoustic barriers (PVNB) along motorways and railways today enable one of the most economical applications of grid-connected PV with the additional benefits of large-scale plants and no extra ground consumption. As in the case of buildings, no land is consumed and the support structure is already installed. 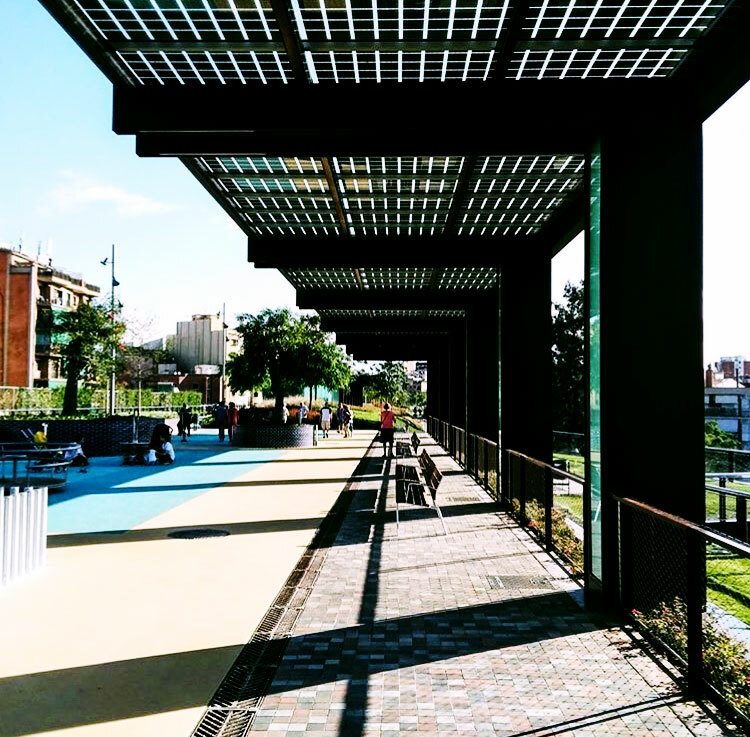 Photovoltaic pergolas are an alternative way to replace the materials that have traditionally been used in construction to generate shadows. One of the great advantages of the photovoltaic glasses of architectural integration of BIPV Solutions, is that they act as filter of the ultraviolet and infrared radiations, both harmful for the health, besides generating clean and free energy thanks to the sun. 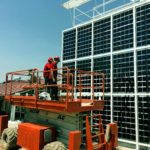 BIPV photovoltaic panels are a perfect solution for use in the formation of eaves, since they constitute a range of active technological glasses that have the property of generating electrical energy and can be used both in new buildings and in reforms. These types of solutions are perfect for combining design and functionality, thus fusing design and electrical installation. The eaves are transformed thanks to the panels into integral elements of the electrical installation of the building.